Bottom trawling is a reviled fishing method amongst conservationists. There are major concerns about damage to benthic habitats (aka the bottom of the sea), and many environmentalists staunchly assert that deep sea trawling must be banned. 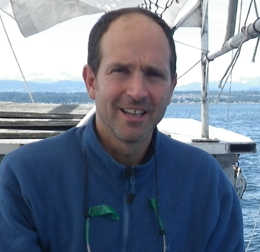 But is bottom trawling really beyond hope? It may well be that in vilifying this fishing method, we alienate the possibility of working with trawlers to improve it. Yes, bottom trawling poses risks, but there may be ways to control and manage those risks and reduce the damage to sensitive ocean habitats. The bottom trawling industry in British Columbia has done just that. Through an extensive collaboration with environmentalists groups, such as the David Suzuki Foundation and Living Oceans Society, changes have been made to the regulations of the bottom trawling industry that improve the industry’s environmental impacts. A system to warn other trawling vessels of an area with high concentrations of coral or sponge (over 20kg in one tow). The formation of a habitat review committee that will meet annually to ensure the measures are working, and potentially improve the fishery even further. This measures have now been in place for almost 2 complete fishing seasons (The current season will end in February 2014) and conservationists as well as the industry are pleased. Fishers have been fishing cautiously to avoid catching sponge and carol, and bycatch of sponge and coral has remained well below the limits. It is the hope of the industry that these management changes will allow them to move from the SeaChoice red or ‘avoid’ rank to the yellow or ‘acceptable alternative’ rank. This will allow the bottom trawl industry to continue existing in a world where consumers and distributors are beginning to demand sustainable seafood options. SeaChoice reassessment of BC’s bottom trawling industry (through the Monterey Bay Aquarium Seafood Watch program) is expected to be released early next year. 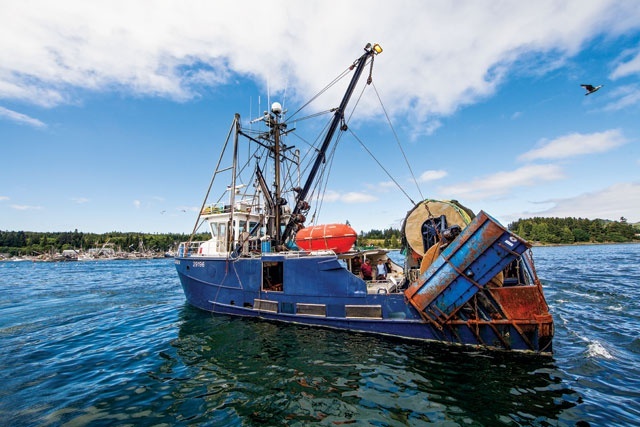 The bottom trawling industry in BC has taken a stride in the direction of sustainability, showing that they are progressive and responsible. Improvements remain to be made, but the habitat review committee will likely act as an effective framework for such progress to be made well into the future. This collaboration has shown that bottom trawling may be here to stay, to the chagrin of some, but that it’s future may not be one of reckless exploitation and destruction. It is our hope that this project acts as an example to other industries and non-government organizations, pointing the way forward for responsible fisheries management. The alien but beautiful seascape created by the deep sea glass sponges, now given more protection thanks to the new Integrated Fisheries Management Plan (photo credit: CPAWS BC).